Our team provide a unique blend of knowledge and expertise. 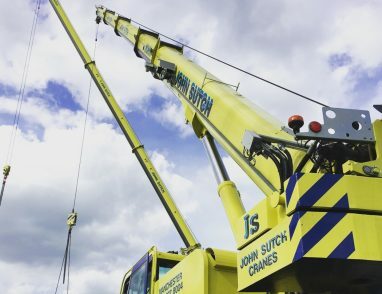 John Sutch Cranes can integrate seamlessly into your planning and design process, from tender through to completion. We can supply a crane and operative to your specifications under CPA Hire Conditions, or you can contract out the entire lifting process for us to manage, under CPA Contract Lifting Conditions. Fully trained and highly skilled operatives bring a wealth of experience to help you achieve your plan. The company’s extensive, modern, fleet of cranes and support vehicles meet the needs of every size of project. Working across a wide range of industries, our customers benefit from our confidence, professionalism and team approach to completing lifting operations safely and effectively. 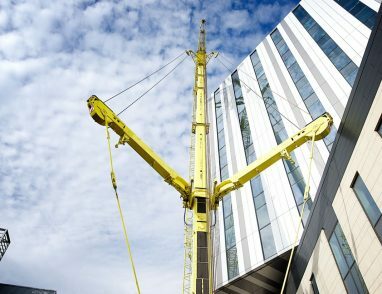 John Sutch Cranes has delivered all heavy lifting provision across the entire Royal Liverpool University Hospital project, commissioned directly by main contractor Carillion. John Sutch Cranes used their new 350T Liebherr crane to lift a new concrete footbridge into place in Dalton, Cumbria. 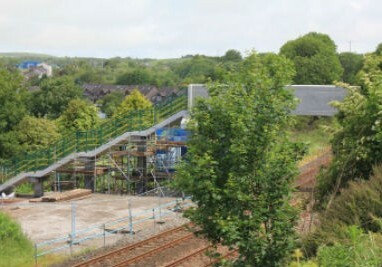 The crossing, spans the railway tracks, linking the village which is set either side of the railway line.